The Book of Mormon describes writing on flammable materials in the city of Ammonihah ca. 82 BC Alma 14:8. Our current correlation places the city of Ammonihah at the site of El Hormiguero II in the NW corner of Peten, Guatemala. 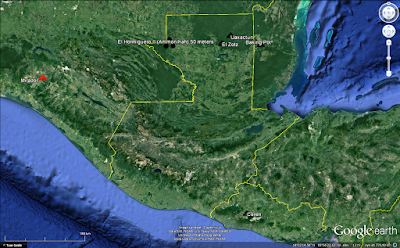 Writing on plaster coated amate bark-paper (from Ficus [fig] or Morus [mulberry] trees) is attested archaeologically from two southern Mesoamerican sites in early to middle classic time horizons. 1. 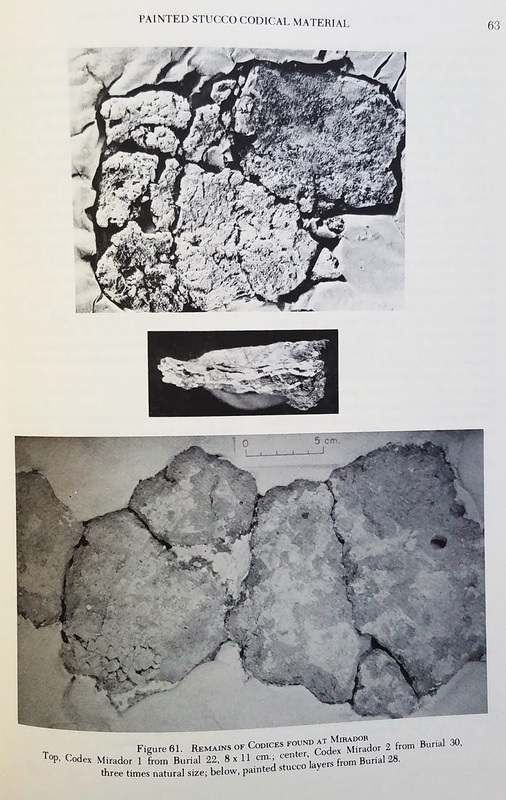 Two congealed codex fragments were recovered from Mounds 9 (burial 22) and 10 (burial 30) at Mirador, Chiapas. Both date to the Laguna-Nuti phase (AD 300 - 500). Pierre Agrinier, Mounds 9 and 10 at Mirador, Chiapas, Mexico, Papers of the New World Archaeological Foundation, Number 39 (Provo: BYU NWAF, 1975). 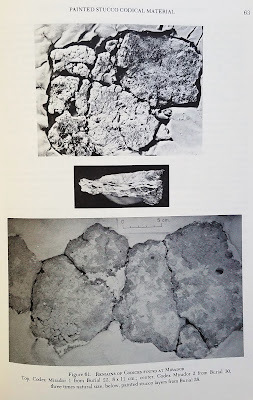 These fragments are now in the custody of INAH in Mexico City. 2. 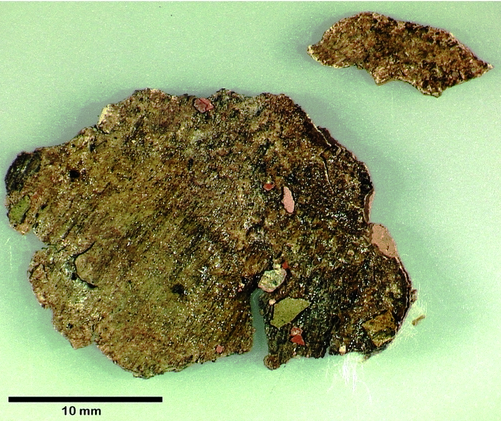 Fragments of a congealed codex were recovered from structure A-1, pyramid C, burial A6 at Uaxactun, Peten, Guatemala. The burial dates to AD 400 - 600. Structure A-1 itself was begun in the late Pre-classic (AD 1 - 250). Nicholas P. Carter and Jeffrey Dobereiner, Multispectral imaging of an Early Classic Maya codex fragment from Uaxactun, Guatemala, Antiquity, 90 351 2016. The Uaxactun fragments are now in the Peabody Museum of Archaeology and Ethnology at Harvard. These fragments had 2 different plaster layers applied, the only known attestation of the early Maya scribal practice of erasure and re-inscription on codices. Resurfacing and repainting on murals is well-attested. Writing on plaster overlaid gourds is known from the UNESCO World Heritage site of Cerén, El Salvador (volcanic ash fall covered an entire village, leaving unusually well-preserved remains a la Pompeii); Baking Pot, Belize; and a royal tomb at El Zotz, Peten, Guatemala dating to AD 300 - 400. All codex fragments and some of the gourds were found in mortuary contexts. See for example the Uaxactun image in the blog article "Partake of the Fruit." The Book of Mormon explicitly correlates words and death Mosiah 17:20. Some depictions of bark-paper codices on stone, painted ceramic vessels, and murals are much earlier than these decayed fragments. See, for example, the Olmec bound screen-fold codex illustrated in the article Cylinder Seals. Mayan epigraphic inscriptions reference 'paper' or 'books' (hu'n) and 'writers' (aj tz'ib). The figure on the right is carving a mask. The figure on the left is the maize god as a scribe with a paint pot in his left hand, a brush in his right, and a bark paper folded codex on the ground in front of him. Article updated on November 8, 2017.